How Big Retailers Are Using Chatbots To Boost Customer Engagement? Today’s retailers are facing a constant challenge in competing with consumer price sensitivity and digital competitors. Providing a world-class experience to the in-store customers has become the only way to differentiate themselves from competitors and new digital entrants. Chatbots for retailers are increasing customer satisfaction levels as they are easy to interact with and become extremely helpful to increase sales and create goodwill around the brand. Despite chatbots being a resourceful investment, many retailers fail to foresee the revenues they can bring to their business. The dilemma of implementing the bot technology is majorly emerging from lack of awareness and technical know-how of their functioning among retailers. The article will help retailers understand the potential of this technology and will explain how chatbots are a win-win for them as well their customers. How Chatbots in the Retail Industry Increase Customer Engagement? The most successful example of how chatbots empowered brick and mortar stores to compete with the wave of e-commerce, is a humanoid chatbot named Pepper. The Mall of America transformed their customer experience with their in-store chatbot called Pepper. 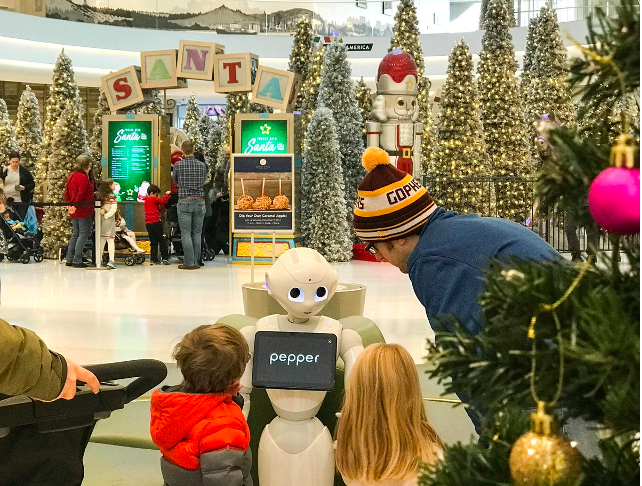 Pepper delighted the customers by assisting them with various tasks at the mall such as providing them with directions to the nearest stores, answering their queries regarding latest deals, recommending events and gifts for the holiday season etc. Customers who have shopped with a particular retail store in the past are more likely to be interested in shopping with them again. A chatbot helps retailers to notify these customers about the fresh stock arrivals and latest deals. This means more opportunities for retailers to cross-sell and upsell their products. Chatbots can even send these notifications tailored as per the customer’s requirements, based on the data gathered on their previous shopping experience. The chatbots also come with the advantage of providing assistance both in-store and outside the store. For a customer who is present inside a store, the chatbots can guide them towards the nearest stores based on the customer’s present location. It can also help them find a particular item in a huge inventory of products inside the store. When not in the store, a customer can take the help of chatbots to get recommendations based on price, brand, color, style etc. available in the store. The bots can also check if a specific product is available in the store, to save time and effort of the customers. Chatbots ensure that none of your customers abandon their cart due to a cumbersome and time-consuming checkout process. Chatbots provide the option of checking out within the messenger, relieving the customers of the misery of standing in long queues at the stores. They are basically virtual counters that make the customer experience seamless. ShopBot, eBay’s conversational bot is the perfect example of how chatbots can make a customer’s in-store experience more engaging. It is high time the retailers realized that there has been a significant paradigm shift in the retail industry, from focusing on products to focusing on the customers. It is important to understand that it is as important to take care of old customers as it is to acquire new customers. Good customer service experience can play an important role in achieving this. With chatbots in the picture, customers can be given an immediate support service and accurate information on queries, eliminating any human errors. Back in 2016, the Swedish multinational clothing retailers, H&M launched a chatbot called Kik on their messenger app. The app enquired about a few style preferences from the users and in turn, allowed them to go through products in the H&M catalog accordingly. It also allowed them to make purchases from the app and also share this with other Kik contacts. 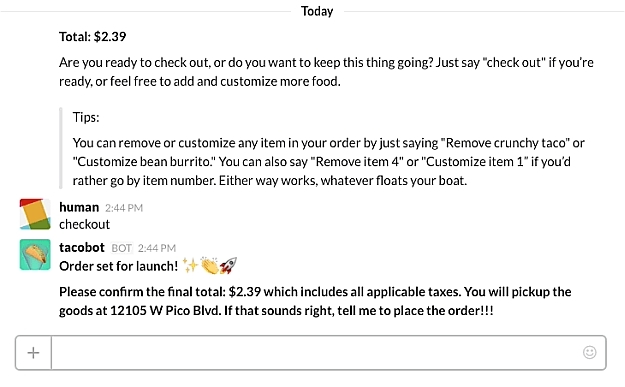 The fast-food retailer giant Taco Bell developed their own TacoBot called Slack that helps the customers order directly from within the app. The customers can add or remove ingredients, know the prices, check their cart and finally check out their order. These TacoBots have the feature of delivering a consistent experience to every customer, on each interaction. 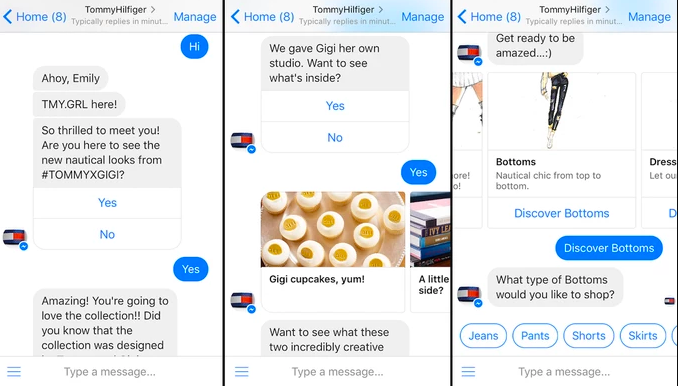 American apparel and accessories brand Tommy Hilfiger has launched a chatbot on their Facebook messenger. The chatbot asks the users to choose a category from style advice, browsing, and a fashion show behind-the-scenes look. It has various language processing features. It identified the intent behind a typed keyword and gives solutions accordingly. The chatbot also helps the users go through the product catalog and makes it convenient to go through the products category-wise. Personal care and beauty product retailer Sephora gave their customers a chatbot experience wherein, the bot asks various questions from the users that help it to determine the profile and preferences of the customer. Apart from answering queries, the Sephora chatbot has a special feature that makes customers feel at home. It mimics the way a shopper might chat with their buddies and take products advice. The bot also offers an option for a user makeover which makes the experience even more exciting for makeup lovers. Luxury clothing retailer Burberry introduced their bot on Facebook messenger in 2016. The bot provides details of the nearest Burberry store by finding out the customer location. The chatbot also helps the brand build a connection with its customers by sharing information about the craftsmanship of the apparels. The bot has presently evolved since its first launch and now offers options to explore pre-order pieces and gifts recommendations. It has also started inviting its Facebook fans to follow the Burberry’s runway show live. Apart from these retailers, many other brands like Whole Foods, Lidl, Dominoes, and Macy’s have benefitted immensely from the chatbots technology. 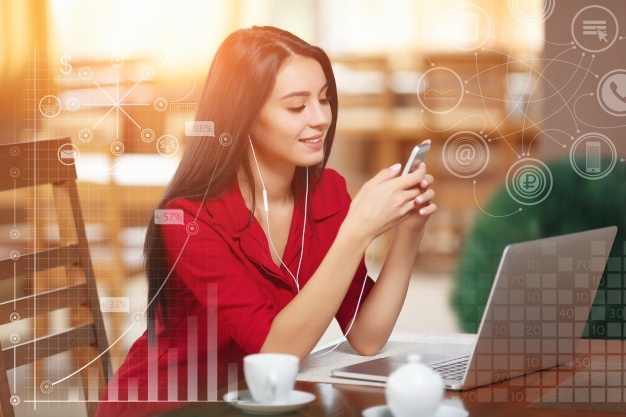 If you are a retailer aspiring to hop onto the bandwagon of providing an unforgettable customer experience and keeping up with consumer demand, having your own retail chatbot might just be the perfect fix. 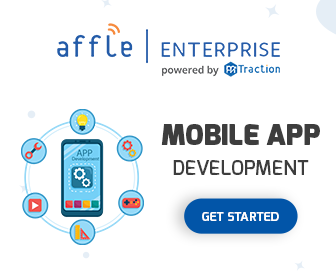 Please connect with our enterprise chatbot development team at enterprise@affle.com.